Rumors of a new Nikon mirrorless system have been hotting up lately, but now we’ve got confirmation that the latest camera to join the Japanese company’s lineup will arrive around March or April 2019. Nikon Imaging Japan executive Kimito Uemura spilled the beans at this year's Camera & Photo Imaging Show (better known as CP+) during a televised interview aired on Japan’s NKH network. While this news is exciting, it is as yet unclear what kind of mirrorless system Nikon will reveal next year. There is no indication whether the camera will be aimed at professionals or will be an entry-level offering. 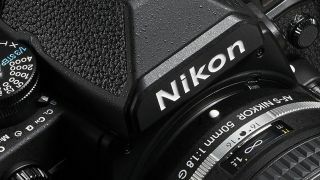 Nikoneye, the first to report on the announcement, speculates that the camera could be an entry-level full-frame mirrorless featuring a new mount compatible with existing F-mount lenses. Predictions also point to a 30MP sensor with phase-detection autofocus. Only time will tell what exactly Nikon is up to, but there’s a strong possibility that we’ll also find out more about mirrorless cameras from Canon, Sony and Olympus around the same time.